Yesterday I was in the mood for a cookout. But it was so hot I felt like my skin was on fire whenever I was outside. So sitting outside, in the sun, and near a grill was not happening. So I decided it would be a great day to try Rusty's Bar-B-Q for Birmingham Restaurant Week 2014. I'm actually not a big ribs eater, but I believe barbecue sauce should be its own food group. Rusty's has plenty of homemade sauces to choose from -- house barbecue sauce, spicy barbecue sauce, sweet, barbecue sauce, and white barbecue sauce. I, of course, sampled all four sauces, but the creamy white barbecue sauce was perfect with the delicious chicken dinner, which I had with cole slaw and sweet baked beans. Located in Leeds just up the street from the Outlet Shops of Grand River, Rusty's is the perfect place to relax and refuel after a day of shopping. I also had a chance to chat with Rusty himself -- Jonathan "Rusty" Tucker. "After graduating from Johnson & Wales University with an A.S. in Culinary Arts and a B.S. in Foodservice Management, I did the only logical thing and moved home to Birmingham to open a barbecue joint," said Tucker, who opened Rusty's Bar-B-Q in 2009. "It was always my dream to own a restaurant; I grew up in the kitchen always experimenting with new recipes and learning from the many great cooks in my family." 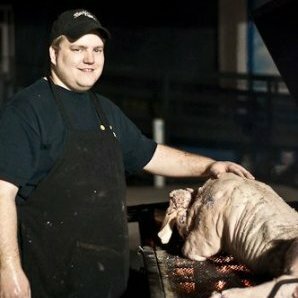 What do you believe sets you apart from all the other barbecue joints in the Birmingham area? We are a family friendly restaurant that will go above and beyond to meet our customers' needs and exceed their expectations. Most of our food is prepared from family recipes that have been handed down in my family for years. I started my business when I was 23 years old. The lessons that I have learned as a business owner are innumerable. The one that is close to heart at the moment is to make time for yourself and for your family. What are some of the advantages and disadvantages to being located in Leeds? Leeds is a great community and there is a great potential for growth here. We have some great attractions to this area within just a few miles of our location - Barber Motorsports Park, Bass Pro Shops, and The Outlet Shops of Grand River are all close at hand. Why did you choose to be part of Birmingham Restaurant Week? I joined Birmingham Restaurant Week three years ago. I saw it as a great opportunity to promote Rusty's Bar-B-Q and hopefully gain some new loyal customers. It is a good opportunity to showcase local restaurants in the greater Birmingham area and celebrate the talent we have in this industry. 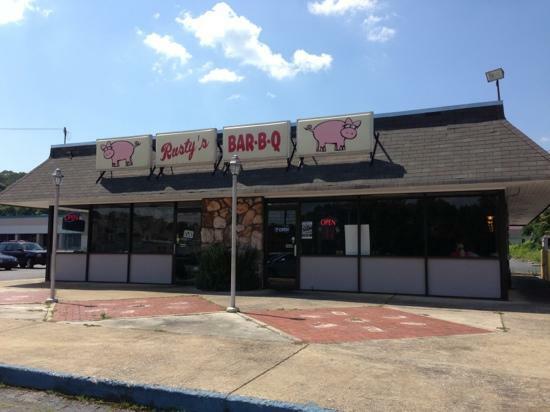 What are your hopes for the future of Rusty's BAR-B-Q? To leverage what little we have to make a big difference in our community and the lives of others.